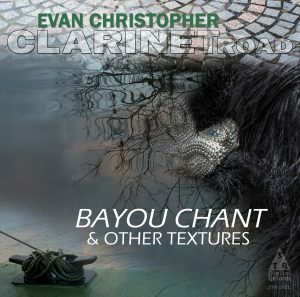 Anchored in the musical vocabulary created by early Creole clarinetists including Sidney Bechet, Omer Simeon, and Barney Bigard, Evan Christopher strives to extend the legacy of the venerable New Orleans clarinet style and to find contemporary narratives to frame the city's indigenous traditions. Charismatic and versatile, he was drawn to New Orleans from his native California in 1994 by the rich cultural landscape and music scene. Critics remarking on Christopher's dynamic expressiveness and intimate approach have coined his style "close-encounter music" (NEW YORK TIMES) and have called his respect for the music traditions of New Orleans, "a triumph, joining the present seamlessly to a glorious past." (THE OBSERVER, UK). 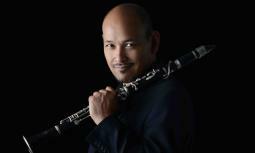 The New Orleans Jazz Museum will host Clarinet Road's premiere of "The Faubourg Variations" on December 9, 2018 at 2pm. Short Discussion of "The Faubourg Variations"
Sunday, December 9 at 2pm, the New Orleans Jazz Museum hosts the World Premiere of the Faubourg Variations. The National Historical Jazz Park helped me introduce the work with a talk and short video. Recordings from a series of live concerts at Marigny Recording Studios, Bayou Chant is an introduction to some of my original compositions in three different acoustic configurations.